"This week, the Western Caucus, of which I am a member, held a hearing on what can be done to produce more jobs in our home states. At a time of 12.4% unemployment in California and an even higher 15.7% in Kern County, I told the gathering of Representatives and Senators that our focus needs to be on how to help create permanent private sector jobs. We need to provide our economy with more confidence by providing certainty that tax rates will not increase, certainty that regulations will not strangle innovation, and certainty that the national debt will be addressed. During the hearing I also highlighted issues of particular concern to the 22nd District, which I’d like to take a moment to tell you about. "First, Congress should be evaluating existing environmental and endangered species laws to ensure that they are not discouraging renewable energy projects. Kern County is one of the top wind producing congressional districts, and has some of the greatest potential for solar power in California. The hardest part of getting renewable projects up and running is navigating the bureaucratic process, and regulations should not be used to stifle economic innovation. "It also concerns me that the Majority in Congress wants to expand the Federal government’s regulatory authority under the Clean Water Act. Their proposal would cover nearly every body of water, wetland, or even ditch in America. The potential adverse impact to farmers and ranchers in our area would be devastating if they were required to obtain Federal permits for any water-related actions they take. "Those of us from Bakersfield are well aware of the problems our farmers, families, and communities have faced with restrictions in water deliveries, an economic reality that I have again brought to the attention of my colleagues. We all know that “food grows where water flows” – I highlighted for those in attendance at the hearing that it’s not just food, but jobs that grow where water flows. I " believe that protecting our natural wonders for future generations to enjoy and economic development are not mutually exclusive. The number one concern of Americans right now is creating jobs; however, leaders in Congress seem more interested in expanding government and imposing additional burdensome regulations. We can do better. We must focus on creating the pro-growth atmosphere that is needed to reinvigorate the American entrepreneurial spirit. It’s just commonsense. 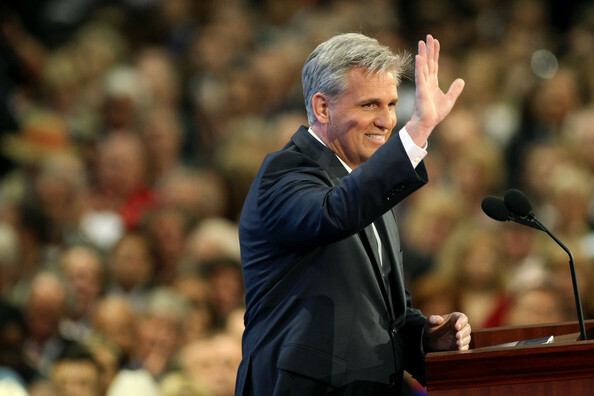 "Also I’m not sure how many of the readers of this blog have tried the P90X workout, Rep. Paul Ryan introduced me to it, and I work out with him and other members who attempt to get in shape as we travel back and forth to our districts. This week, Senator John Thune (SD) joined us, along with P90X creator Tony Horton. It was quite a workout and a good start to my week! Metro Galleries and The Padre Hotel hosted a reception for local artist Larry Jason, who was displaying some of his screen prints of iconic Bakersfield scenes. Lots of folks showed up and many of the paintings sold. Some random shots of the reception. Bakersfield Fire Chief Ron Fraze with Larry Jason. Gene Tackett and Wendy Wayne. Barbara Reid and Robin Noble. Metro Galleries' Don Martin and Robin Noble. Liz Netherton, Steve Wilkinson and Gina Young. One of Larry Jason's screen prints. * ... RISKY CITIES: Bakersfield made another list of dubious distinction this week by being included among the nation's "riskiest cities for homeowners." This latest bit of bad news came via Forbes.com (read the entire piece here) which compiled a list of the top cities where homeowners are facing foreclosure. In those top ten cities, an average of 7 percent of all loans are at least 90 days delinquent, "considerably more than the 4.4 percent average delinquency rate across the county's 100 biggest metros." Bakersfield was the fifth riskiest city with 8.55 percent of all loans at least 90 days overdue. The top four were Las Vegas, Riverside, Stockton and Modesto. Meanwhile, this comes as we learn from RealtyTrac that the number of U.S. homes taken back by banks through foreclosure hit a record high in the second quarter, up 38 percent from the same period last year. * ... BURGLARIES: My post earlier this week about a rash of burglaries downtown triggered several responses via Facebook and private emails. One friend who was vacationing said her investment rental downtown was broken into this week, and another reader who lives off White Lane in the Southwest said there had been a number of burglaries and thefts in her neighborhood. These crimes are so numerous that it's unreasonable to expect the police to follow up and investigate each one, so it's up to us to protect ourselves-through neighborhood watch groups, alarms and keeping an eye out for each other. * ... BAD FORM: Is it too much to expect folks clean up after themselves? 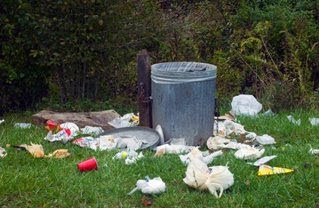 A friend who participates in a morning workout "boot camp" at Yokuts Park says the place is a mess, particularly down by the river where it's littered with old soda cans and bottles, fast food wrappers and even used diapers. That's right, used diapers. And two days ago I'm driving behind a faded older van when a passenger casually tosses a soda cup out the window. Good grief. * ... GOOD NEWS: Nice to know that not every business is suffering in this economy. Over at the relatively new Bakersfield Veterinary Hospital, owner Dr. Paul Ulrich said his business is up year over year and he is thinking about adding two new vets to his six-doctor staff. "We're doing terrific," he told me. "It's a different experience because we're a large practice but we're doing quite well." The clinic, located near the corner of Harris and Gosford roads, looks like a small hospital and is open 24 hours a day. 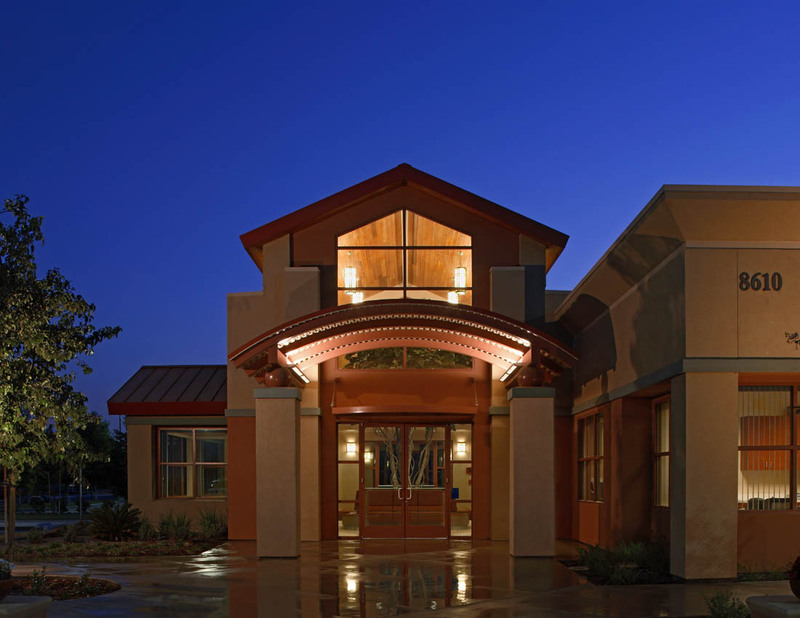 It is equipped with kennels, services for small and large pets and even has a 'pet library.' Last year, it won a prestigious award for its design. 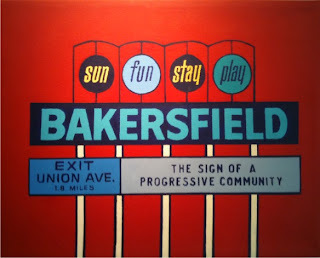 * ... BAKERSFIELDISM: From reader Patsy Sadler: "You know you're a Bakersfield old timer if you remember when the Union Avenue Plunge bus would pick you up in your neighborhood and take you all day for 25 cents." SFGate, the online product of the San Francisco Chronicle, recently ran a story on the discovery that a fault in the Sierra Nevadas running under the Lake Isabella dam may be active after all. 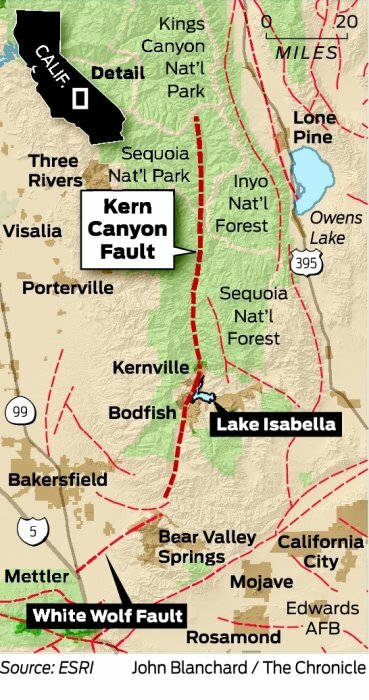 Some of this has already been reported, including the devastating effect that a rupture of the dam would have downstream in Bakersfield. To read the latest report, click here. 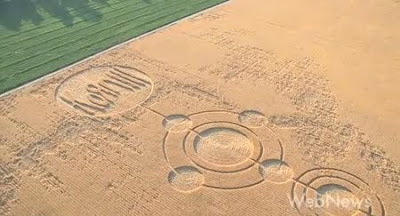 You may have read in The Californian this weekend about the Bakersfield band Korn making a recording in some crop circles that were made near town. For weeks there had been rumors about some mysterious crop circles near town, and lo and behold we learn that the band commissioned them for a video. Here's a piece from Guitar World magazine on the video along with a photo courtesy of Guitar World. * ... LOCK YOUR DOORS: A friend of mine who lives downtown on Cedar Street returned from dinner last Friday to find her house ransacked. Her loss: two computers, a flat-screen TV, a few incidentals and her sense of safety and security in her own home. Two Bakersfield police officers told her the downtown-Westchester area was getting regularly popped by burglaries, so take this as a reminder to keep your doors and windows locked and turn on your alarm. And if you think alarms are expensive, think again. Each burglary they prevent or interupt pays for the cost of installation and service. Police will tell you this stuff is happening all over town as the economy worsens and our underachieving youth are out of school and on the streets. 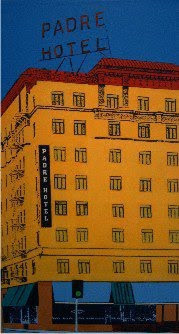 * ... ICONIC BAKO: You don't have to be an art aficionado to appreciate some of the screen prints that are on display at the Padre Hotel by local artist Larry Jason. The prints depict some of our community's iconic places, including Luigi's, the Alley Cat bar, the old Bakersfield "sun, fun, stay play" welcome sign on Highway 99 and of course the Padre Hotel itself. A reception honoring Larry Jason is being hosted by Metro Galleries and the Padre and will run from 5:30 a.m. to 8 p.m. Thursday in The Farmacy at the Padre. If you can't make the reception, the art will be hanging through the first of August. * ... IN INDIA: Reader Doris Winham wrote with pride to report that her grand-daughter, Taylor Witcher-Page, is with a group from Valley Christian Center in Madera working with disadvantaged children in India. The group is working with Sarah's Covenant Homes, an orphanage for kids with special needs, in Ongole, India. * ... OOPS: Retired school superintendent Al Sandrini corrected me for misidentifying him in an earlier post regarding the location of the old Coachlight Inn. "You may find this hard to believe, but there are two Al Sandrinis in Bakersfield. My cousin, Alan Sandrini and I (Alvin) both go by Al and you are not the first to confuse which of the cousins with whom you might be dealing. Al(an) and I both came from 'farmer families' south of Bakersfield. He was the long time owner of B and F Hobby Shops on Baker Street and more recently, worked with his son Bryan as the host for Sandrini’s restaurant downtown. He currently is working at Sundale Golf Course in Kern City as the assistant pro while I continue to work on lowering my handicap! Since retiring from Norris ten years ago, I’ve worked as an educational consultant, thus proving to my wife what she already knew, I flunked retirement! Finally, all that stuff about the Coachlight Inn Al told you about was true…I think…at my age it’s hard to remember!! Have a great day." My apologies to both the Al Sandrinis. * ... MORE COACHLIGHT: Additional recollections about the old Coachlight Inn from reader Milt Huggs, who should know something about the subject. "Jack Ewing's Stockdale Inn, located on the corner of Stockdale Highway and California Avenue/New Stine, was purchased by Milt Huggs and a group of investors in 1971. The building was sawed in half and moved to the corner of California and Oak Street, the former site of the Santa Fe Railroad Roundhouse. The two halves were placed over a vintage red caboose and reassembled. The red caboose then became the lively centerpiece of the dinning room in a restaurant remodeled to look like an old train station. An old green Pullman Car was placed on tracks in front of building for future dining. The remodeled restaurant was named the Iron Horse. The Iron Horse became the meeting place for the newly charted West (is best) Rotary Club. Al Sandrini and Milt Huggs are still members of the West Rotary Club. In 1978, the restaurant was sold to Gilbert Burns and it became a disco. A few years later Burns sold to the owners of the Coachlight Inn. They closed their Union Avenue and 34th Street location and moved to California Avenue and Oak Street. The location is now a strip mall. While I have the chance I might as well toot my own horn. Milt Huggs is in the restaurant business with his son Mark Huggs. Milts Coffee Shop at Olive Drive and Freeway 99 for 46 years and the 24th Street Cafe for 25 years." Local commercial market could be poised for rebound, and is Al Qaeda reall behind our local shoplifting rings? * ... COMMERCIAL WOES: Matthew E. Starr, senior vice president over at Grub and Ellis/ASU Associates, wrote to bring some perspective about the local commercial real estate market. "The national office vacancy rate (17.9% and the end of the first quarter 2010 according to Grubb and Ellis research) continues to rise as does the local vacancy rate; however the local office market is in a position to experience an accelerated recovery. The office market vacancy rate for the greater Bakersfield area was 11.39% as of the end of the second quarter of 2010 ... This includes all submarkets and all classes of space. This is a dramatic rise from the all time low vacancy rates city wide early in 2007, but it shows that things could be a lot worse. New construction of office properties is at a virtual standstill and if growth in the economy continues and local companies resume expansion, the office market could be poised to tighten quickly. This of course depends upon the vitality of the employment rebound. I just wanted to let you know that things are not all doom and gloom with the local office market." Thanks for sharing, Matthew. * ... SUBITO GRANT: Nice to hear that Jim Scully, a lecturer in the music department at Cal State Bakersfield, has been awarded a Subito Grant from the American Composers Forum to travel to Boston and have his two most recent compositions recorded by the artists who commissioned the works. The grant will pay for Scully to travel to Boston, record the works and produce a concert of his work at the Lilypad in Cambridge, Mass., on August 7. You might know Scully as a composer and jazz guitarist whose work has been featured at the Bakersfield Jazz Festival. He teaches courses in music, theory, jazz studies and music technology at CSUB since 2003. * ... BEANIE'S: Reader Lydia Lostaunau wrote to remember a place called Beanie's across from Jefferson Park. In her words: "In 1953 you could buy lunch (hot dog, potato chips and a Coke) for 25 cents. Beat eating in the cafeteria. Best burgers in town, the top of the bun was shiny with the grease from the grill. Ken Ken's was good for its crushed ice in the soft drinks. Andre's on Niles had the greatest chili burgers, served open-faced. I could go on but it's dinner time. Love your blog." Thanks, Lydia. * ... AL QAEDA: From reader Pierre Cardo: "A woman in a KGET 17 story about shoplifting was quoted as saying that Bakersfield shoplifting rings were supporting Al Qaeda. I nearly spit out my dinner ... say it ain't so!" 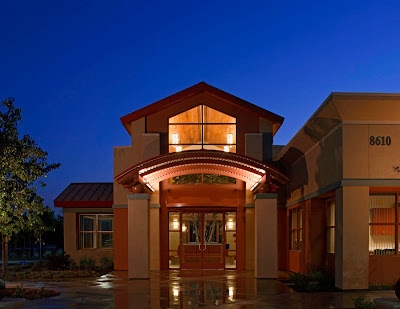 * ... CASINO NIGHT: You might want to put August 14th on your calendar for the second annual TIL Casino night, the major fund raiser for the Transition to Independent Living program at Taft College. That's the program that receiving the Community College award for innovation. It will be held at the Bakersfield Jam facility. If you are interested, contact Sheri Horn Bunk out at Taft College. * ... BAKERSFIELDISM: You know you're a Bakersfield old timer if you remember what sport caster Bob Elias said at the end of every broadcast: "You don't have to play a sport to be a good one."